This narrow triangular area with a lot of individual cafes and bars is Shibuya’s new hot spot, with the famous Organ stair slope “stateless street” and its nice atmosphere in the air. 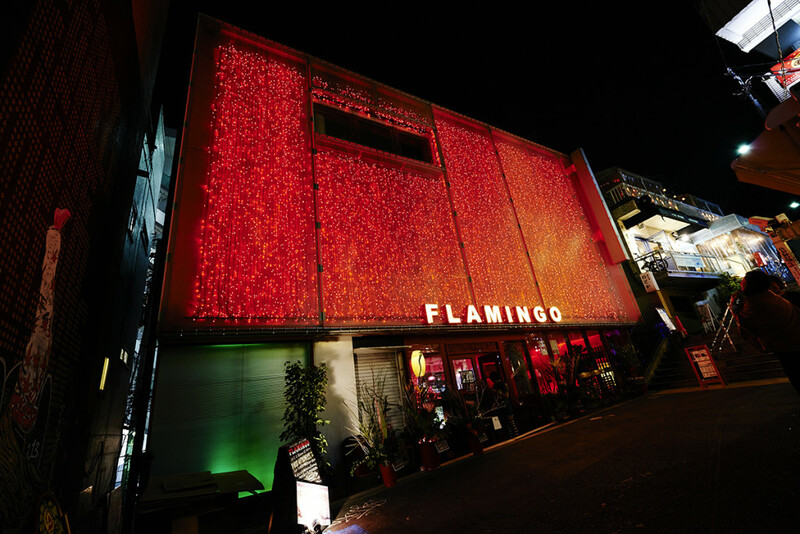 In the center of a proud culture land, with the most crowded record shops in the world, there is the mark of American taste cafe and dinner “Flamingo” remarkable by its eye-catching red illuminations and neon signs. You can enjoy, of course, some power lunches, but also American voluminous food or abundant alcohol drinks. Have a fun and carefree experience until morning in a casual spot if you want to have a break from the night after night events in the area or if you are on your way home.